Working on handwriting with kids can be difficult. There are many underlying factors that play into messy writing: visual perception concerns, fine motor deficits, visual motor integration problems, inefficient pencil grasp, attention, positioning, and cognitive level are just some areas that play into legibility with written work. When several of these factors co-exist, writing can be downright sloppy. One way to work on handwriting legibility is to add bold lines to the paper. 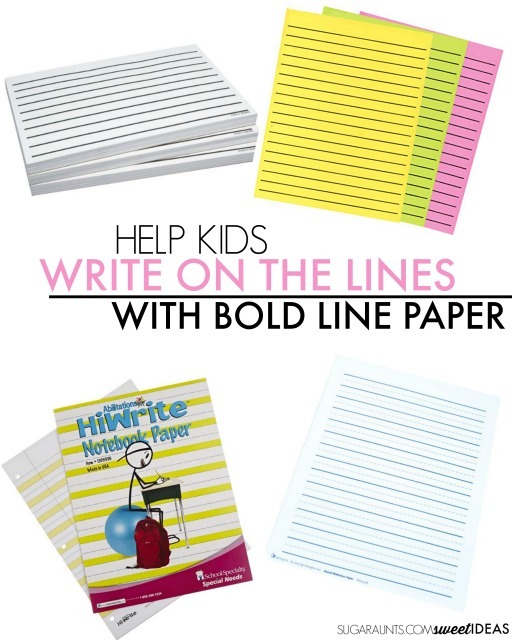 This is just one easy way to help kids attend to the lines on the page, visualize a stopping point for letter formation, and draw attention to the writing space. Today, I'm sharing a quick and easy handwriting trick that is part of a month-long series on easy handwriting tips. Check out the link for a full list of the activities as they go up each day this month. Sometimes, kids are trying their hardest to write neatly on the lines but letters end up being written all over the page with little regard to placement on the lines. You might see kids writing with the words drifting down over the lines or you might see younger kids who are making lower case letters the same size as the tall or upper case letters. They might even write as if they don't even see the lines on the paper. 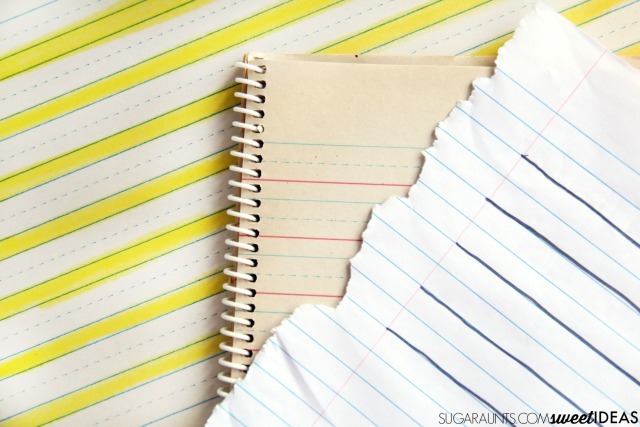 How can a child write neatly on lines of lined paper or worksheets when the letters drop below the lines? It can become quite difficult to read their writing. For older kids, they might not be able to go back over notes and understand what they've written in class. Older students who are writing quickly to take notes or finish that homework assignment might have letters written with very little line awareness. Typically, difficulties with line awareness are a result of visual perceptual problems. 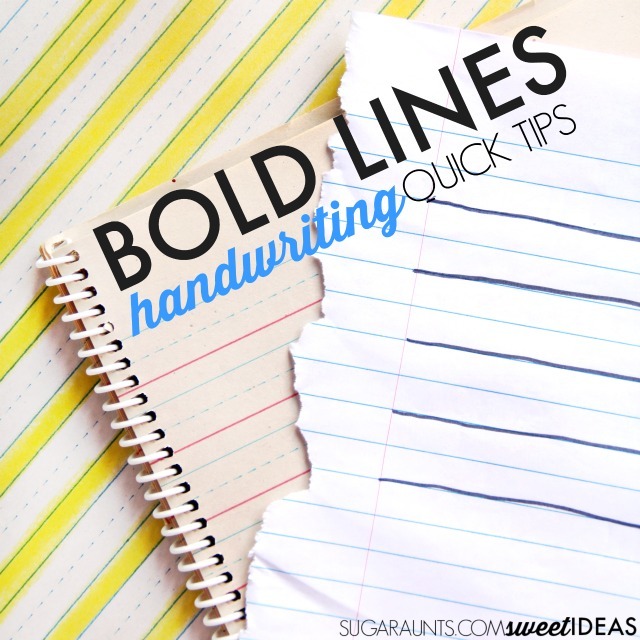 Try adding bold lines to paper to help draw attention to writing lines. Looking for more handwriting tips? 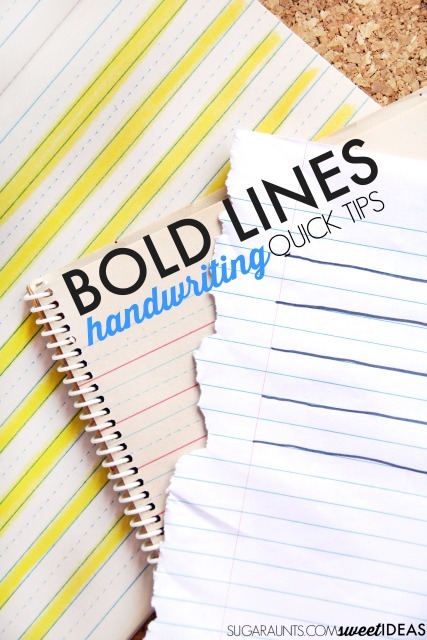 Stop back tomorrow to see all of the Handwriting Quick Tips. 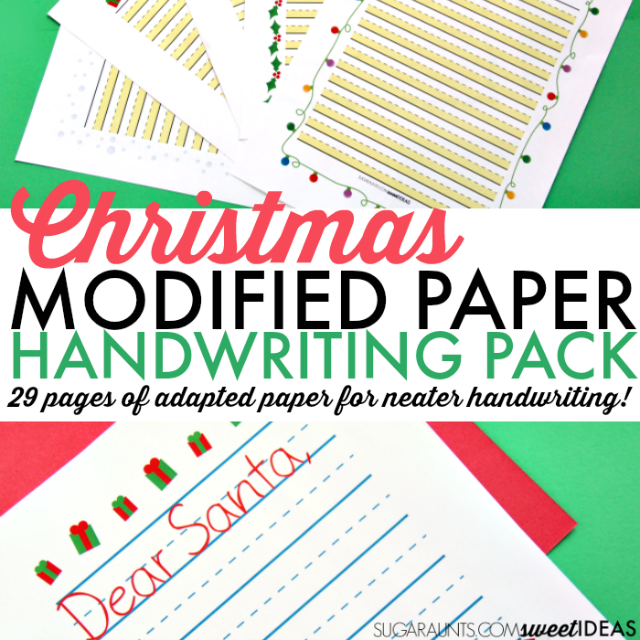 And be sure to join the Handwriting Facebook Group!